It is pretty hard to deny that the modern world is very much a consumer culture. Just the amount of food, personal electronics, retail packaging and clothing that we discard every year is evidence of our over consumption. But while there is often at least an attempt to address the need for the recycling of most of the types of materials that are discarded every year most people probably don’t even know that the over consumption of clothing and textiles alone is threatening to bury us. Every person in the US throws away an average of 65 pounds of textiles a year, and all together 11.1 million tons of textiles make it to landfills rather than being recycled. While it is easy to blame the mass production of inexpensive clothing throughout Asia for our growing pile of textile waste, as a culture we’re the ones enabling the system that causes it. The manufacturing of clothing used to be a local endeavor that would supply surrounding communities who often demanded high-quality products. But the lure of inexpensive, mass produced products has eroded our desire for quality in favor of quantity and the result is poorly constructed products that barely last after a few washes. And the textile industry has gone to great lengths to hide the fact that clothing simply used to last longer because it was well made. Inside the Lot Values studio. Award winning designer and former MIT wearable tech researcher Elena Corchero recently spoke about modern textile manufacturing and its effects on us both culturally and economically at OMD’s UK Innovation Week. Of the several topics that she covered, she discussed how quality clothing and the skilled people who make them have become almost entirely devalued. Because no one pays attention to how clothing is made any longer no one sees the value in paying more for a higher-quality product that will last longer. But Corchero believes that modern technology like smart textiles and 3D printing are providing new opportunities to bring some of that meaning back into high-quality, handmade or customized clothing. “In London, stores now have the ability to create clothing in-house, which provides full transparency so that you can see what’s happening. It makes it possible to customise products, and it’s not necessary to have piles of stock as the products are made there and then. You don’t even have to ship anything and there’s still a high production of wool in Scotland. It’s a win-win situation,” says Corchero. And Corchero isn’t all talk either, she has been working on a number of clothing projects that are environmentally friendly and bring new value and quality into our clothing products. Just some of her high-profile products include the UK’s Olympic team LED-backlit jackets that they wore to the closing ceremony in 2012 and Zippykit educational toys that include sewing and electronics. She also sells her own line of clothing products on her website Lost Values, including products made from a wool material that is super reflective at night and lab grown crystals converted into 3D printed jewelry that change color depending on its exposure to UV rays. And of course 3D printed textiles, which she believes allows clothing designers to express their creativity without producing excessive waste or products that feel disposable. “When you’re making a jumper, you used to need wool, tools, pins and knitting needles. 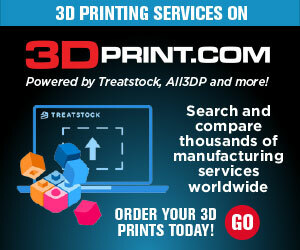 With 3D printing, you just need the material for the 3D printer, which changes the picture a lot,” says Corchero. As the world becomes more and more automated, with almost 80% of factories set to have eliminated most human workers by 2020, we’re soon going to find ourselves buried in our own mass produced waste. Corchero, a huge advocate of wearable technology and fashion, sees the need for designers and manufacturers to create products that remove the stigma of wearables and focus on sustainability and quality. Advances in small-scale manufacturing that allow anyone to create clothing and technology is one way of making that happen, but she also sees design activists who can create products that have less impact on the planet and hold a greater sense of quality to the wearer as the key to eliminating our textiles waste. You can learn more about Corchero and all of her high-tech fashion, accessories, jewelry and educational toys over on the Lost Values website. She also regularly updates her Instagram account, Facebook profile and Twitter with new products as they come available.